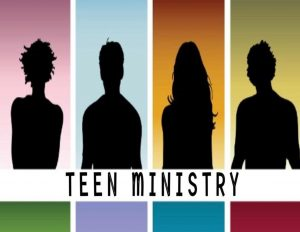 The Light In The Earth (LITE) Youth Ministry is a unique youth ministry. A place where every youth can feel welcome, A haven that welcomes and engage youths of every ethnic background to fellowship under a Christian atmosphere teaching of the christian faith. We provide an atmosphere, which surrounds the youths with an unconditional love that fosters Christian fellowship. We encourage and teach our young people the values of Christian living and how to have a great relationship with the Lord, Jesus Christ. To help them to be equipped to extend the love of Christ to their family, friends, schools, neighborhoods and communities with the hope of reaching the world one youth at a time. Our youth ministry deliberately guides young people into Christian discipleship by getting the youths involved in different programs and activities in a safe, Christian community, encouraging them to live spiritually rich, God-centered lives and preparing them to impact their world for Christ. Reverence God, above anyone and anything at all times. Esteem God and encourage each other in the Lord at all times. Serve God with all your heart, mind, body and soul. Pray without ceasing for each other at all times. Esteem each other as much as you esteem yourself. Complement each other at all times. Trust in the Lord with all your hearts and lean not on your own understanding. Always show compassion, concern and care for others. Always strive to be aware of the needs of others and to demonstrate love and compassion to all who come in contact with our youth ministry. Always strive to create an environment that attracts young people, their family and friends (members and non-members). Always base our programs on the foundation of faith in Jesus Christ. Encourage the young people to accept Jesus Christ as their Lord and Savior and to use their spiritual gifts to serve within the body of Christ. Always endeavor to be lifelong disciples who are continually growing in the faith and knowledge of Jesus Christ. Always express our faith in specific, tangible acts of service, particularly to those in need. Always respect and value the opinions of others. Always seek to be more like Jesus, living out the fruits of the Spirit, remembering that God is the center of everything we do. Always be grounded in the foundations of our faith and to communicate our faith effectively and confidently with others. (because God is always with us – Omnipresent/Omnipotent). Always provide trustworthy adult leaders for each youth session. Always provide a welcoming environment in which young people can feel safe asking questions and seeking support and guidance and just being themselves. Always acknowledge and not be afraid to tell others about Jesus and his love.